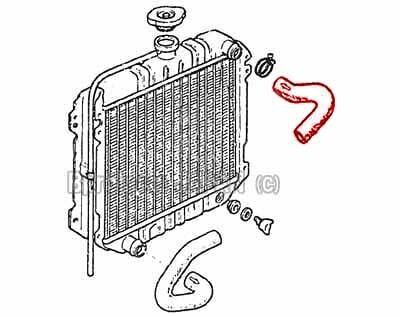 Silicon Radiator Upper Hose Early A10 A12(copy) - Specialized shop for Datsun 1200. Available to Early A10/A12 series engine. *Does Not Include Lower Side Hose. This sale is Upper side only. -60 to 260C working temperature. 0.3 to 1.6Mpa working pressure. Direct bolt-on OE fitment or replacement.